Whether you have a big house or small apartment, decluttering before a move is important. I currently live in a 412 sq. ft apartment which is the size of some people’s closet. Even though it’s small, my husband and I have still accumulated stuff that we won’t really need when we move in a few months. The big question is, how will your current items fit in your new house or apartment? Maybe you want to change the style and colors in your new place or buy new furniture. Whatever it may be, getting rid of what you don’t need will make your move a lot easier. Professional Organizer Rachel Rosenthal, of Rachel & Company, explains how to start decluttering if you’re feeling overwhelmed. She says, “Once you start purging items (donate, trash, or consign) you’ll likely feel relieved, and even motivated to move on to another area. Enlisting the help of a friend or family member to help you get through the task will give you the support needed to finish the (sometimes daunting) task at hand.” Help from family and friends can also reduce the stress you would feel from taking on a large task by yourself. Ask what they would be comfortable helping you with, and that way they will be more inclined to accept, especially if they are worried they’ll be asked to do a lot. Here are a few tips to help you get started on decluttering before your move. The best way to avoid stress for your move is to start as early as you can. Go through all the rooms in your home and see what is collecting dust. If it is, this indicates that you haven’t used it for quite some time. This process could take a couple of days, or even weeks depending on how many items you have. As you go through the rooms, sort the items into selling, donating, or trash piles. Ask yourself questions such as: Would I buy this again? Is it worth the space it’s taking up? I know I struggle with holding onto items, especially clothing that I haven't worn or used in years, but I tell myself I’ll need it for a specific event or project. The reality is, that will probably never happen. Here are a few things to remember when deciding what to keep. ● Anything damaged should be thrown away. Clothes that haven’t been worn in over a year should be donated or sold. ● Check your kitchen for any duplicates, expired food, or kitchenware you simply never use. ● Review all your food, medication, toiletries, and anything that has an expiration date, and throw it away if it’s expired. Sentimental objects can easily accumulate in the home. Ask yourself, how important is this item to you? Take into consideration the emotional value it holds and if it’s something you need to keep. If it’s not something you want to have, or display in your future place it may be time to let it go. Whether you know you’re moving in a few months, or you only have a short notice, items you don’t want to take with you for the move can easily be sold online on Facebook Marketplace, eBay or a digital clothing marketplace such as Poshmark or Mecari. There’s also always the option to have a good old fashion yard sale. This is a great way to make money and means you’ll also have a lot less to pack and unpack. My husband and I have started selling clothes, a dresser, kitchenware and other small items we really haven't ever used. The best part is with the extra money, you'll be able to buy new art, decor, or furniture for your new home. If you don’t want to go through the potential hassle of trying to sell your items, or the items simply aren't in a condition to sell, make two piles; donate and trash. Some donation companies like the Habitat for Humanity and Goodwill have a pickup service for certain items. What you donate can also be tax deductible as a charitable donation. For any unexpired food items you have, donating them to the Second Harvest Food Bank is a great way to give back to the community and finally get rid of the food you’ve had sitting in your pantry. 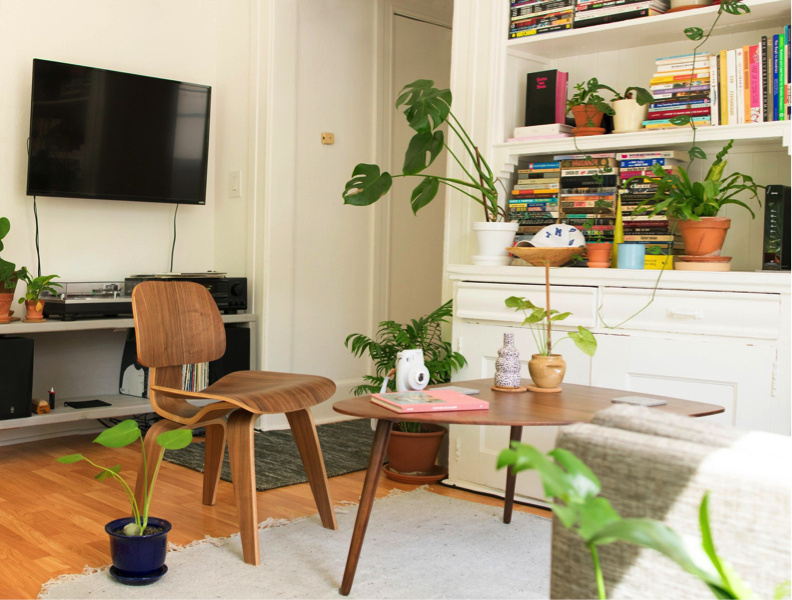 Decluttering for a move doesn’t have to be stressful as long as you start early and make a dedicated area for everything that you’ll be getting rid of. Moving is an exciting time in life and making sure your new home is organized and clutter free will help you start off on the right foot! This post was written by Olivia Waddell at Monkey Bars Central Coast/Bay Area. The crew at Monkey Bars Central Coast/Bay Area helps homeowners organize their garage with industry-leading shelving, cabinets, flooring, and overhead racks.